Kimpton Amara Resort and Spa in Sedona is the first of its kind to offer VitaJuwel gem water to balance and revitalize the mind, body and spirit. From fostering tranquility to regulating the metabolic energies of the body there’s a magical gemstone blend for every need. Wellness (Rose Quartz, Amethyst, Clear Quartz): As the most popular of the VitaJuwel gemstone blends, this basic, well-balanced composition has been used to inspirit water for hundreds of years. Crystal experts claim that amethyst strengthens awareness and rose quartz fosters tranquility which makes for the perfect balance before meditation. Fitness (Red Jasper, Magnesite, Clear Quartz): After an intense workout or yoga training, rejuvenate the body and mind as the red jasper crystals are said to regulate the metabolic energies of the body while the magnesite brings a calming effect to your emotions. Inner Purity (Aquamarine, Clear Quartz): This peaceful combination will make you feel like you just jumped in the ocean. Aquamarine means “water of the sea” and this gentle stone is said to be calming, soothing and cleansing and also a stimulant for spiritual awareness. Five Elements (Amethyst, Chacedony, Petrified Wood, Rose Quartz, Ocean Chalcedony): For the perfect mind, body and spirit balance, each aspect of life is symbolized by one of five elements in this gem blend: wood for growth, water for reflection, earth for grounding, metal for strength and fire for passion. Balance (Sodalite, Clear Quartz): These crystals blend harmoniously to help you achieve the ultimate life balance. Sodalite, the stone of logic, rationality and efficiency is known for its healing breaches as the clear quartz attunes to your higher self. Cupid’s Kiss (Rose Quartz): It’s all about the love. Rose quartz is known as the love stone and its energetic hallmark is that of unconditional love which opens the heart chakra to all forms of love: self-love, family love, platonic love and romantic love. These crystals are best known for emotional healing and easing loneliness, heartache and aids forgiveness and self-forgiveness. Vitality (Emerald, Clear Quartz): To be a person of vitality, you must hold exuberant physical strength and mental vigor. This gem blend prepares you for just that as the emerald is said to enhance perception and personal power while the clear quartz protects against negativity. 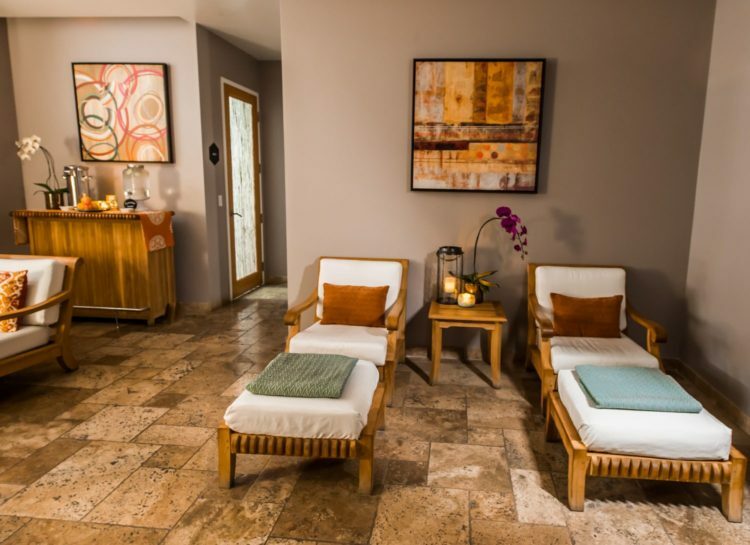 With six treatment rooms, the full-service spa offers massages, facials, body treatments, foot and hand rituals, nail services and a private yoga studio. To learn more about Kimpton Amara Resort and Spa and to book your next spa treatment, visit www.amararesort.com or call 928-282-6088.